Britain’s Brand Essence: It’s ‘confusion’, isn’t it? A few months ago the British public (and global audiences) were horrified. 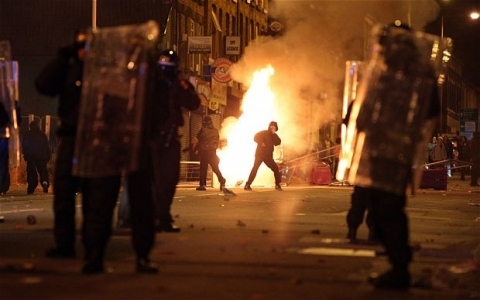 Burning, rioting and looting spread through the streets of major cities in England (just to be clear on the focus here). A mist of chaos descended on the country that swept out of control. Several days passed and the mist cleared. The clean up operation and soul searching then began. Difficult questions were posed. What does England stand for? What does England want to stand for? What values does England have? What values does England want to have? Answers have yet to be found to these deeply profound questions. Not good. 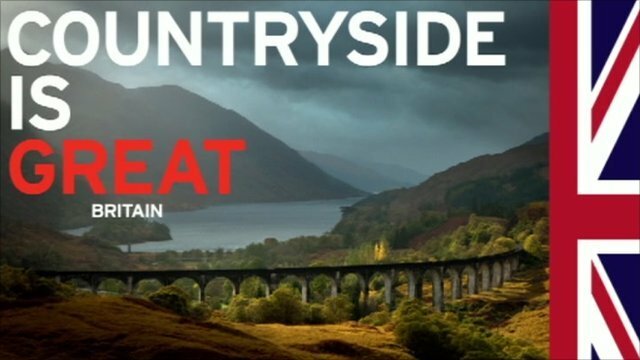 A Great Britain advertising campaign was recently launched by David Cameron at the New York Stock Exchange. It focused on how great Britain is. Shopping is Great. Heritage is Great. Creativity is Great. Music is Great. Countryside is Great. Technology is Great. This great list goes on. Wonderful. Great advertising. The campaign aims to raise the UK’s profile prior to the 2012 Olympic games. To showcase our fine and wonderful land beyond Olympic-related associations if you will. Culture, heritage, innovation, sophistication, music, shopping etc. Brand Britain is all of these things. Right? 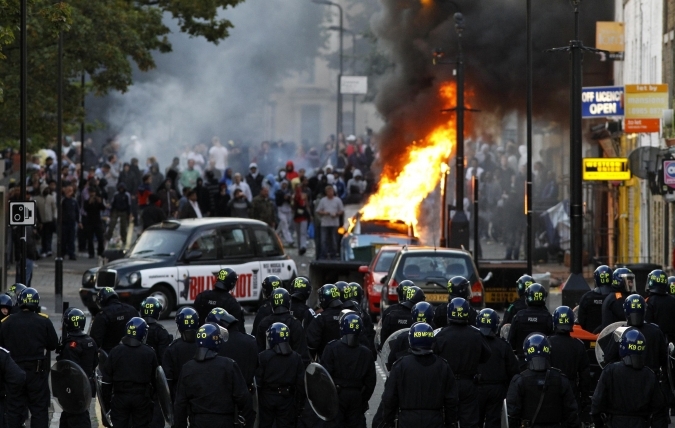 No more than a few weeks ago chaos reigned on the streets of England. Sorry to say so but Scotland, Wales and Northern Ireland (to a lesser extent) will probably be tarred with the same British brush. So what’s the point? Brands operate a number of levels. People, goods, services, cities and countries to name a few. Irrespective of the unit of analysis similar brand principles apply. Brands are a cluster of values. These values are brought to life through behaviour, communications, visual identity etc., across brand touch points. There is clearly a disconnect between the internal and external British brand (apologies to other UK countries apart from England). From the inside out there’s clearly unrest. People are unhappy, frustrated, disillusioned and disenfranchised. The manifestation of these emotions being riots. From the outside in the British Government is trying to paint a very different picture. One of serenity, heritage and sophistication. Confused? How can we reconcile the associations this campaign aspires to create with the values that were brought to life via the behaviour on our streets? They just don’t fit. True this was a minority. Yes, the unrest is not representative of Great Britain but these are the scenes that were beamed across the globe. These scenes fuel a clear brand marketing outcome. A brand which is not credible. A brand which could be conceived as shallow. Worst still, a brand that is confused. Irrespective of the whether your brand is a good, a service, a city, country etc., build your brand from within. Make sure you have a credible brand promise that can be consistently delivered across all customer touch points. Your staff need to understand and buy into the brand promise. If they don’t it won’t work. Your brand will be inconsistent and disconnected. Start with the values. Get these right then the brand campaigns can start. Don’t brand from the outside in. If you do, confusion will reign. It wasn’t so much the riots themselves that damaged the British brand so much as who was rioting (i.e., nobody with much to riot about), and the response (or lack thereof) from the authorities. Violent demonstrations can happen anywhere, especially these days. But the fact of the matter is that the police and political powers simply refused to take the measures necessary to enforce law and order when they began, instead opting for empathy and capitulation, and only moving into reluctant action when the situation escalated into utter madness. THAT was far more damaging to the brand than a few thugs breaking windows (which is all it would have been, had the authorities done their jobs in the first place). The riots revealed a deep lack of character on both sides, and has made many outside of the UK question much of the conventional wisdom we’ve always taken for granted about the British. Hi TJP – thanks for your post and you make several great points. I’d agree the lack of response affects trust. It’s the lack of character that is the real issue. Totally agree. You make a major assumption here which is that there is a such a thing as the British ‘brand.’ Who say there is? Or, more importantly, why would there need to be one? IMHO ‘Brand Britain’ is only something that could possibly exist in the eyes of those who would benefit from the investment behind it. Like, er , marketing agencies…. Do you really think it’s plausible that David Cameron et al are going to undertake a major programme of qual/quant research to understand the essence of Britain in order to determine our values? What would we do with these ‘values’ once we’d created them. Act by them? Under whose instruction? Suggest you might be better served by sticking to ‘branding’ and ‘values’ issues that serve a more obvious purpose.. Thanks for your post. You make some interesting points. Whether we like it or not Britain has a brand i.e. it has associations, a set of values (however broad or loosely defined) and stands for something. Countries increasingly need to think about their ‘brand’ and how they ‘brand’ themselves so they can compete on the world stage. Just look at what Brazil is doing leading up the World Cup by cleaning out the favelas. It’s part of their brand development and global brand communications to inspire trust in Brand Brazil. Sure, branding folk (like me) will pay more attention to Brand Britain but I think you’d be surprised at how many people think about this. I travel with people from all over the World on business. It’s very interesting to see how my passport and colleagues’ passports are perceived at customs. It’s all part of the brand associations the passport triggers. No different to the brand associations that the Nike logo triggers. Do I think Cameron et al. are going to undertake a brand insight programme? Probably not but potentially yes. It’s not about creating and policing values but understanding current values and developing values that Britain wants to be associated with. This takes time and does not happen under instruction. Exactly the same scenario as a company. You may want to look at the work Wally Olins has done / is doing with branding Poland (http://nation-branding.info/2011/03/05/wally-olins-poland-brand/). Wally also makes some great points about how National branding http://www.youtube.com/watch?v=ta9Es6MNrbI or branding Europe http://www.youtube.com/watch?v=FEbfFd9WdSs. Branding operates as various levels. Countries are one of them. I do hope this post is interesting and once again thanks for sharing your views.